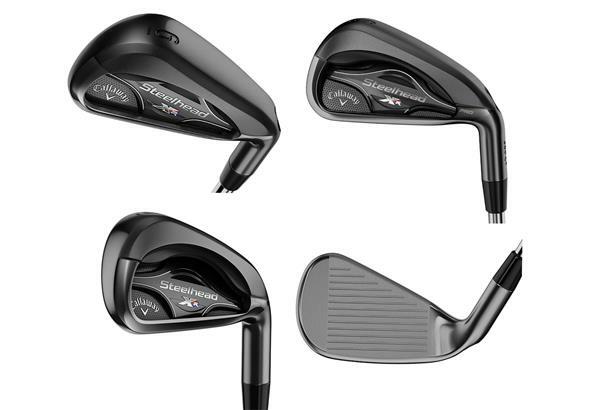 If you’re a fan of the new Epic driver, feast your eyes on Callaway’s latest range of Steelhead XR irons. The all-new Steelhead XR Pro irons feature the same technology as the Steelhead XR irons, but with the added addition of a more compact head, a thinner top line and narrower sole width. A sleek, non-glare black PVD finish has also been added to enhance the aesthetics. The good news is that you won't have to wait long to get your hands on a set (3-AW). They hit UK stores in March 17, 2017, with an RRP of £759. The stock shaft offering is True Temper XP 105 Stepless Steel in regular, stiff and x-stiff, but premium aftermarket steel and graphite shafts and grips will also be available. Increases ball speed with greater efficiency on both centre hits and mishits for maximum distance on every swing. Absorbs unwanted vibration for great feel. Integrating steel into the urethane adds weight to lower the head’s centre of gravity for faster ball speed and consistent launch. Hollow Bore-Thru hosel structure saves significant weight that’s repositioned in strategic places in the head to create more forgiveness and workability. The CG is positioned strategically in each iron to promote consistent launch and long carry in the long irons; great workability and control in the middle irons; and lower and high spinning shots in the short irons.